Parking can be found all along Guest Street, or in the Warrior Ice Arena parking garage. Validation for the parking garage is provided at the host stand inside Rail Stop. The Boston Landing Station which is a quick 200 yard walk from our front door can be accessed through the Framingham/Worcester MBTA line. 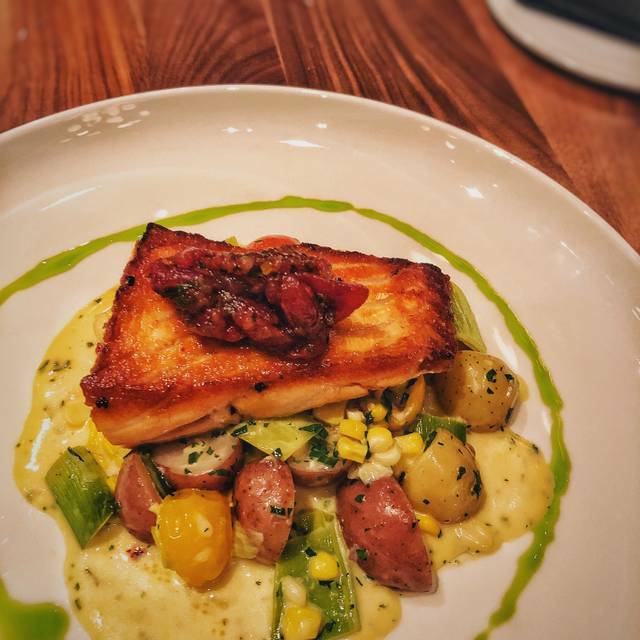 Rail Stop Restaurant & Bar is a fine-dining restaurant offering contemporary New England cuisine, craft beer, the finest spirits, Boston's only barrel-aged cocktail bar, and an exceptional wine list. From the moment you step into Rail Stop Restaurant & Bar, the experience is one of vintage elegance. 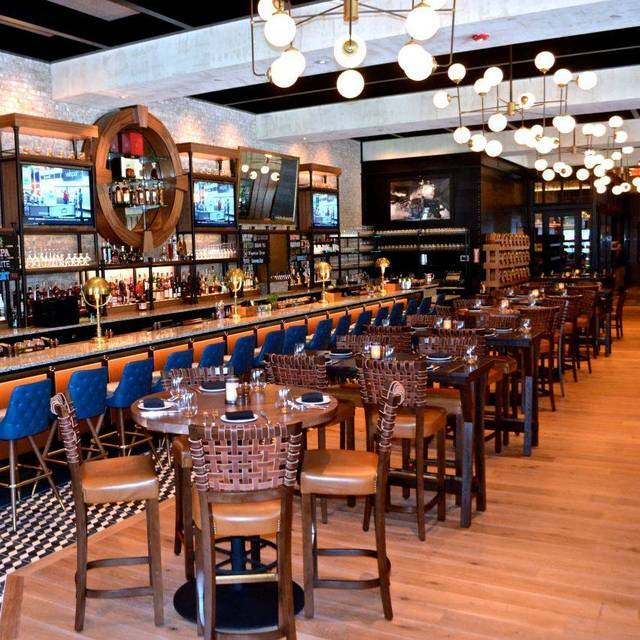 Mahogany paneling and gas lantern chandeliers provide a warm, timeless setting for our dry-aged steaks, chops, fresh seafood, and acclaimed world-class wines. We look forward to welcoming you soon. I may just have a new favorite restaurant!! Drinks were fun and the food was delicious! Our party had the salmon, halibut and chefs risotto with scallops. Every meal was beautifully presented and so tasty!! Service was great. We never had to hunt down our waiter but never felt rushed either. Overall a pretty perfect night! Overall a good experience. 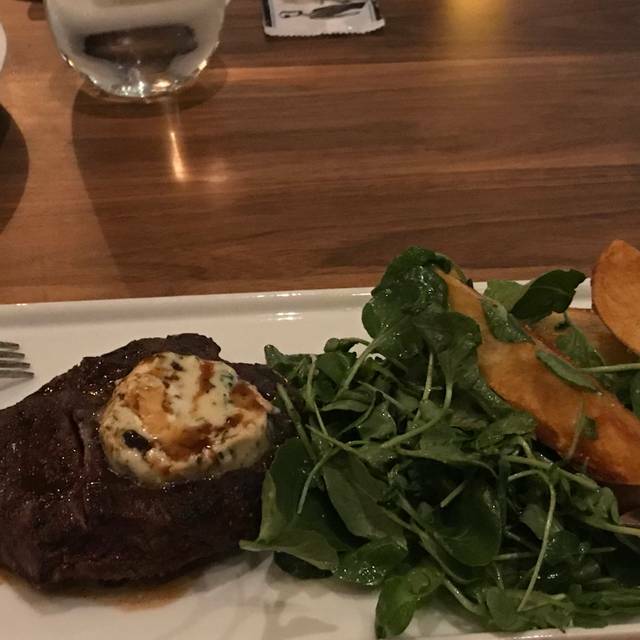 I loved my Cobb salad, but my husband's steak frites were just ok. Very small portion of steak. Next time he will just order another dish. Drinks were good, and atmosphere was great for watching the Red Sox and the Celtics...several TVs at the bar. Huge space, and very clean and modern. Staff was very helpful. Sunday Brunch was absolutely fantastic!! I highly recommend their Bloody Mary!! The service at the Railstop was unquestionably the best I have had in many years in the Boston area. Absolutely wonderful experience. I highly recommend this restaurant. Good was excellent although the entree salad that I had was a little small. Great waiter, excellent wine suggestion and wonderful experience. Have reserved a spot here several times and really enjoy the experience. Wine and atmosphere were excellent but the food was so-so. Would probably only come back here for drinks. Wonderful dinner! The food was delicious. We will definitely recommend this restaurant. Server (Matt) was very knowledgeable of the menu and walked us through each sections making great reccomendations. Eli (Bar Manager) was amazing and makes some of the most well-balanced drinks I have ever experienced. We got 5 star food and cocktails. Looking forward to the next visit. I came here for Dine Out Boston on Friday night, and unfortunately had a poor experience. The New England clam chowder was good, however it doesn’t taste the same as a classic chowder. My lobster mac and cheese had absolutely NO lobster in it. The chef’s choice dessert was a sad tart (maybe store bought) filled with a mediocre/bland mousse/whipped cream and fruit to garnish on top. The service was extremely slow even though the restaurant wasn’t full. I felt like I was an inconvenience to my waiter, so I didn’t feel comfortable speaking up at all about my food and unpleasant experience. The purpose of Restaurant Week is for customers to experience restaurants and menus in the Boston area. I was so excited to try this place, but I won’t be returning after the poor service and food. Nice ambience with good food. Wish they served bread, and offered pepper for the salad. 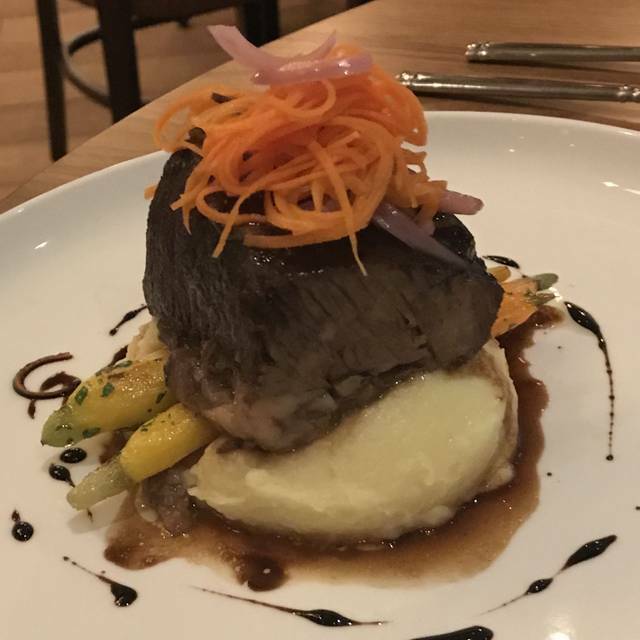 Went for Dine Out Boston - the app and main was great. I had the clam chowder, which was flavorful and full of bacon, and the salmon, which came with lots of lobster underneath. My friend had the butternut squash bisque and lobster Mac and cheese, which he loved. The drinks were delicious too. What we were super disappointed by was the dessert! 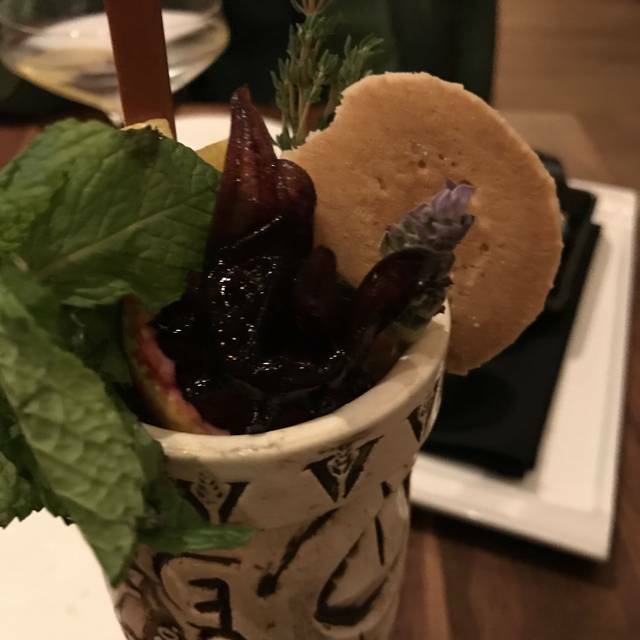 The menu said “chefs choice,” which ended up being a store bought tart cookie thing with a little bit of grainy mousse in it and two blueberries on top - honestly it was embarrassing after the great meal we had and it was obvious they were skimping on the dessert option. Not impressed for Dine Out. Great service! Small plates were amazing. Cioppini was filled with so much fresh seafood. It lived up to our expectations! All dinner entries were wonderful! The food was excellent except it took quite a long time to arrive and to add insult to injury the table next to us order later and received their food faster. I mentioned that the food took a long time and our server was like a ghost not to be seen and they apologized but they were slammed. Oh yeah maximum occupancy is 280 and including us there was 32 people in the restaurant. Railstop is located convenient to my house and to public transportation. Parking is also available on the street or in a large adjacent parking lot. The ambiance is warm and very pleasant. On a Saturday night the noise level was surprisingly low, despite full attendance. Service was cordial and prompt. The prices are reasonable. Valentine’s Day was very well spent at Rail Stop. Our waiter was tentative and provided great suggestions. Our drinks and food were on point. Definitely a must go back on my list. Beautiful spot!!! Great food, great service and great atmosphere!! We love it here. The Railstop looks like a new addition to the burgeoning development in Allston along the rail line. It is not intimate but it has a pleasant ambiance. The food is good but not exceptional. The service was very good although we were there early in the evening for an event at WGBH. It is worth a try IMHO. The service is really slow. Our waitress was great, but every time that I’ve been, it has taken an excessive amount of time for the food to arrive when it’s not even crowded. Our waiter Xavier was funny and knowledgeable about the entire menu as well as how the specialty drinks are made through the mixology process. He was attentive and made us laugh. We had a fantastic time and would definitely come back. We would also ask to be seated in Xavier’s section. Great atmosphere but pricey meager drinks. Mussels app and truffle fries were great. The menu has changed for the BETTER. They now offer a great assortment of salads, appetizers and entrees at good prices. I am so glad they got rid of the pretentious menu for one with lots of options. The restaurant may now survive. I was worried that we wouldn't go back,but luckily they made changes. Mediocre food, very noisy. My Caesar salad was limp and the prime rib sandwich was composed of brown, not pink, thinly sliced beef which seemed to have been under a warming light. Not what I would call prime rib! LOVED IT. So many delicious options on the menu, it was hard to pick just one! Alcohol selection was good too. Very cozy, unique, and comfortable environment . Good for groups. Would definitely recommend and will return. Went here for a quick evening meal before attending an event in the area. What a delightful discovery! 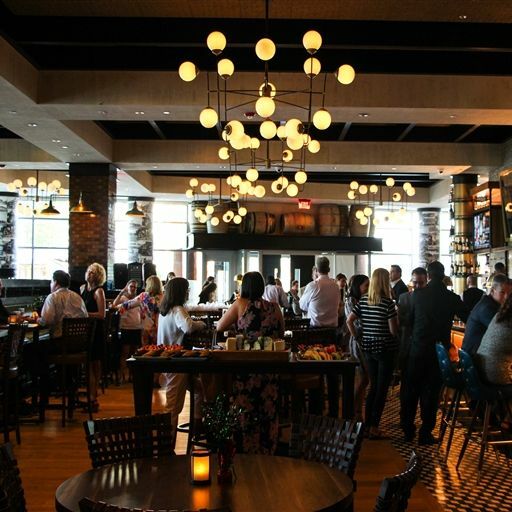 A lovely, open, airy space with wood and stone accents, subdued lighting, and a long elegant bar that wound gracefully from front to back of the restaurant. The menu had small plates options in addition to entrees and sandwiches (always a plus in my book), the cocktail menu was fun and interesting, and the food was excellently prepared, nicely presented, delicious, and reasonably priced. Definitely will go back. It was exactly what I was hoping it ewould be. Had my grandchildren (ages 14-16) they loved it. 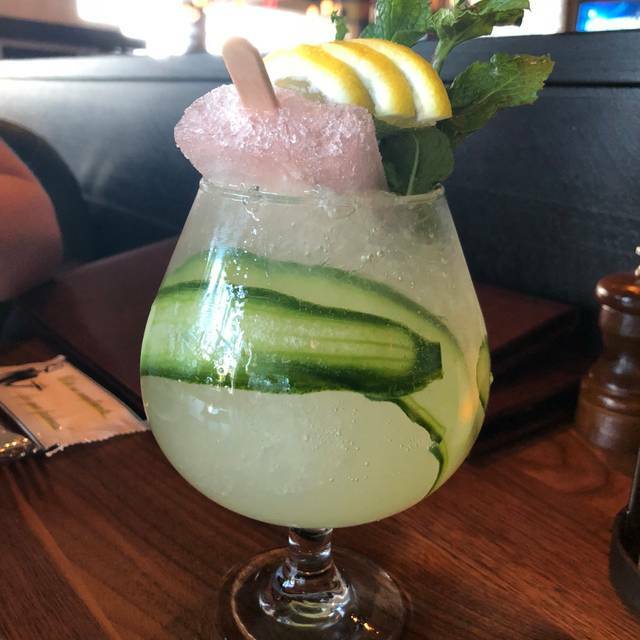 I don’t drink alcohol, so I do what I normally do when visiting a cool, trendy place with great cocktail options and asked for a mocktail. Bartender #1 says, “well, it’s not gonna be much.” And he did not disappoint because it was literally soda water, lime juice, and a fruit juice (I think strawberry). He didn’t shake it- no garnish- nothing. “Fluke!” I say to myself. So I decide to ask a different bartender for a mocktail to see what he whips up. I suggested something mojoto-like but end up with lime juice and soda water. Even worse than the first! Now, I don’t mind paying $5 for a mocktail, but ya gotta make it worth the $5! My meal was great, but my partner’s wasn’t at the quality that we were expecting. Fortunately, they were good about fixing the issue and made a solid recommendation on a different meal. Would we go back- maybe. Recommend to a friend- maybe not until we try again. Great option in the Boston Landing area. Cool vibe with great menu and drink selections. Great cocktails. Fantastic space. Looking forward to next visit. We were seated in the noisier front room in close company with a large and boisterous group. That did not hamper the service or the food so much as our hope for a quiet dinner for two. The service was prompt and attentive. I ordered the lamb loin, cooked medium and it was delectable, but a little closer to medium rare. There was ample polenta but a much smaller portion of spinach to accompany the meat. My husband ordered the tuna special over fried rice. He ordered the fish to be cooked medium well, but when it arrive a large portion of it was rare or seared. We waited for some time that to be remedied, but in the end agreed that the food overall was fresh and comforting, as good as homemade. I gave my compliments to the chef and we left for the movies satisfied. Well appointed, great food, great service, great wine. A real gem for this neighborhood. Will be back!!!! Second time for dinner, delicious food, wine was great- BUT- the bootlegs of wine and selection is ridiculously priced, sorry! I’ve traveled a lot, been to many restaurants, not disappointed but truly way over priced for bottles of many of the reds! I will be back for the food and excellent service no doubt. The food was fabulous. Our server was outstanding. The kitchen was SLOW!!! We waited almost 45 minutes for a burger and a salad. I shared my feedback with the hostess on the way out. She apologized and Said they were ‘busy’. Saturday night. No wait. Empty tables. Wouldn’t say that was busy. Go if you have time - the food is worth it. Just don’t count on a speedy kitchen. 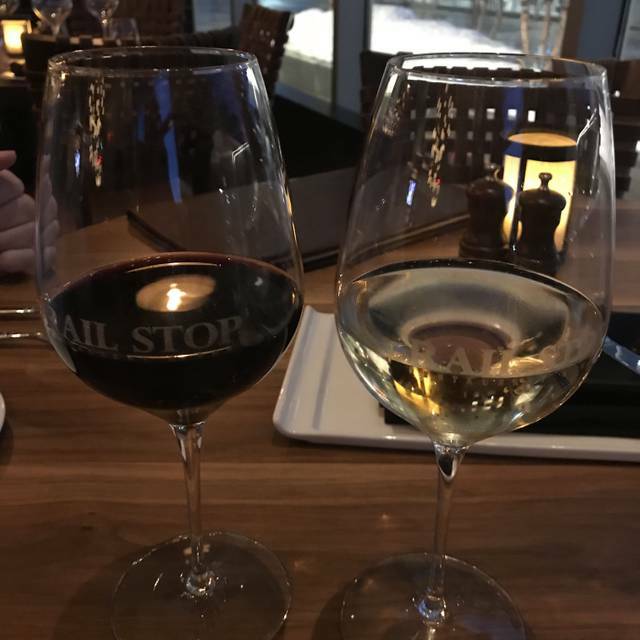 My husband and I enjoyed our first visit to Railstop. There is a variety of food options, the beer and wine list is fairly deep and reasonably priced, and we could talk without shouting. The design is also attractive. It's definitely a place we will return to. New Year’s eve, perfect dining experience. 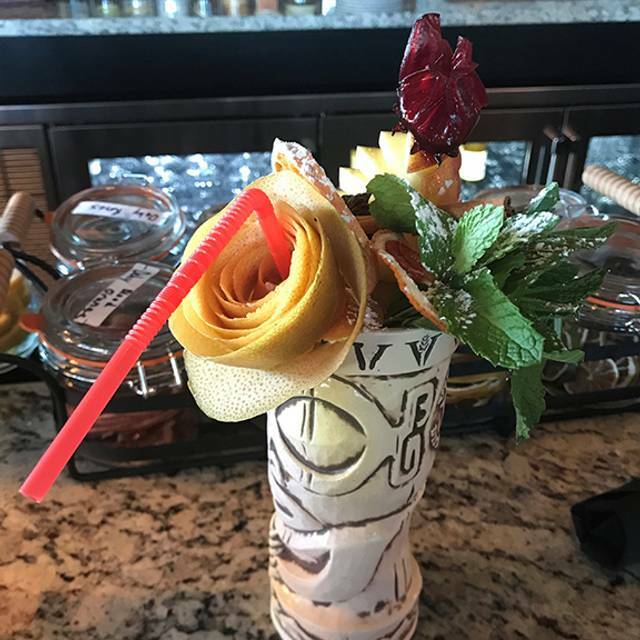 Easy to converse, interesting cocktails, helpful and attentive staff.